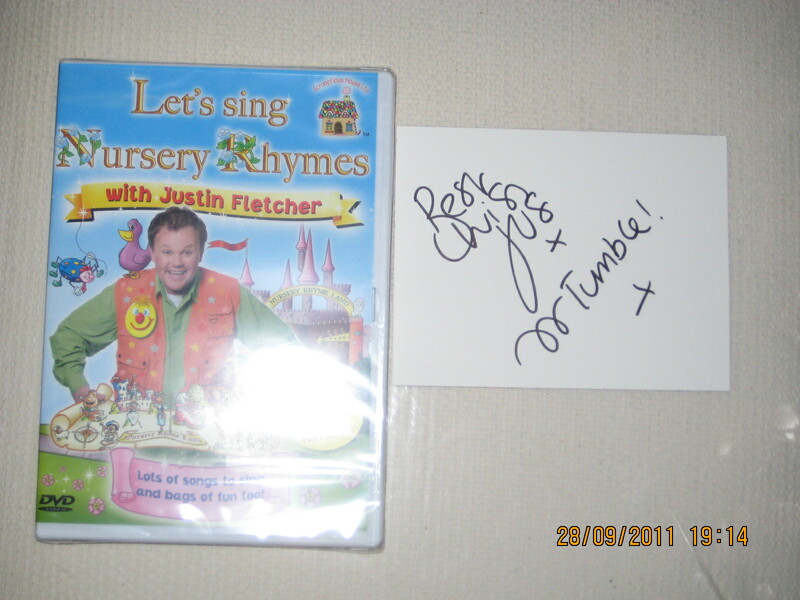 Kindly donated by Justin Fletcher (TV’s Mr Tumble to many! ), a signed postcard and a new & sealed DVD (not signed). All proceeds to Beating Bowel Cancer – come on and bid! This entry was posted on September 28, 2011 at 7:26 pm and is filed under Beating Bowel Cancer, Charity auctions, News. You can follow any responses to this entry through the RSS 2.0 feed. You can leave a response, or trackback from your own site.